The Handy Lift is manual it does not require to be powered to operate it. It has a high weight capacity; it can take a maximum weight capacity of 400 lbs. The lift is ideal for residential use; it is simple and easy to operate. It is sturdy and strong, it is made with material that gives it these features that make it durable. 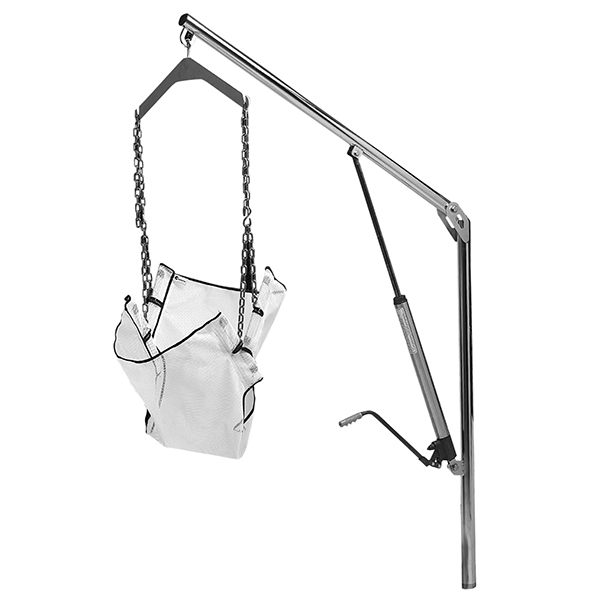 The lift is made with your safety in mind; the sling supports and protects you from any accidents. It does not meet ADA guidelines; however, it is created for residential use and so does not require meeting ADA guidelines. Sportaid offers you this amazing lift at the best price. They do not stop here; they also have great discount offers on their products. Their fantastic customer care services also will confirm to you that at Sportaid you come first for it is all about the customer. They are easily accessible and offer you a wide range of great products at even greater prices.